A film of the assassination of President John F. Kennedy in Dallas in 1963 has been digitally restored. Marie Muchmore's film is said to be one of the three most important made of the event on November 22 that year. The restoration work was undertaken by archivists at the Associated Press Television Network in London. 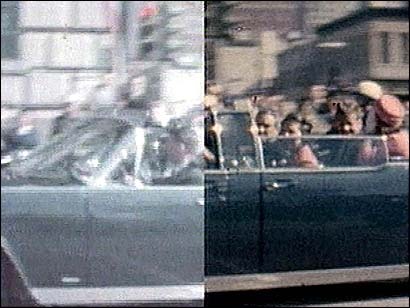 They removed dust and scratches and restored the film's clarity in time for the 40th anniversary of JFK's death. 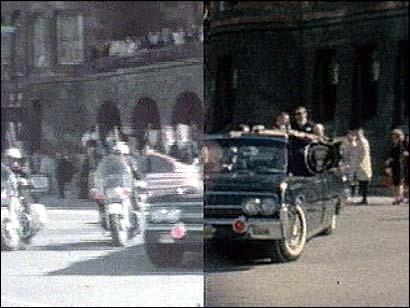 The film was taken as the president's motorcade turned onto Houston Street in Dallas. It shows the last, fatal shot to the head and a woman who came to be known as the "Babushka lady" filming near the president's car. She never was conclusively identified nor was her film ever retrieved. Marie Muchmore's film, originally acquired by United Press International, is now part of the library of APTN, which commissioned the restoration.